Metzger's Painting Professionals gets the job done right! Our Phoenix painters are committed to excellent service and quality work. Each project starts off with a free estimate and from there we combine our expertise, product knowledge and experience that will guarantee long lasting, consistent results that you’ll be impressed with. When you visit our website, you’ll see why Metzger’s Painting is Arizona’s best full service Phoenix painting contractor serving most all of the Arizona region. 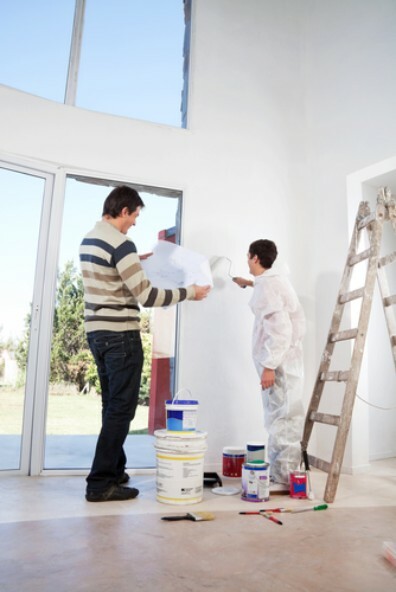 We offer a wide range of services to both homeowner and builder; including exterior painting, interior services, drywall repair, home renovation, and garage floor coating. We are proud to have a family-oriented small business with the manpower and mobilization of a large contractor. Don’t wait! Click on our website and have Metzger’s Painting Professional’s be your Phoenix commercial or residential contractor!